Recently I was doing some reading in the late Denis Baly’s Geographical Companion to the Bible (1963) and decided to share his description of the Arabah (Arava in Israel). The southern section of the Rift Valley is normally known as the Arabah, and it is, to the surprise of many people, almost as long as the section of the valley between the south end of the Dead Sea and the Lake of Galilee. A north-east-south-west upfold running across it raises the central part of the Arabah to 1,000 feet above sea-level, and then it sinks southwards again towards the Red Sea. Everywhere it is desert, save where occasional springs provide a welcome supply of water. However, historically it has had a double importance: as a trade route to the Red Sea and as a source of cooper. This is found in the dark-red Nubian sandstone which outcrops particularly on the eastern, or Edomite, side of the rift. The most important of these copper mines was at Punon (the modern Feinan), almost certainly the place where Moses raised the serpent in the wilderness (Num. 21:4-10; 33:42-43). On the western side the copper-bearing rock outcrops only in the extreme south, and is being mined today at Timna, where also it was obtained in ancient times. This is the place known to the modern tourist as “King Solomon’s Mines” (Deut. 8:9). (p. 57). I propose in a series of posts to discuss briefly Lot’s Wife, views of the Arabah, the excavations at Tamar, Keturah, Timnah, and Eilat. 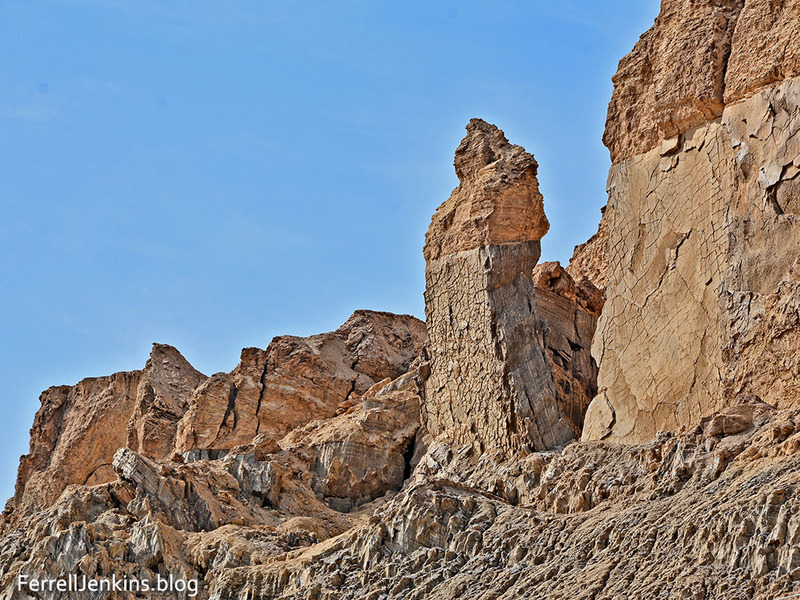 Lot’s Wife, a natural formation south of the Dead Sea. Photo by Ferrell Jenkins. Lot’s wife stands as a perfect illustration of those who turn back from doing the will of the Lord. Even Jesus called attention to this Old Testament event. In the next post we plan to show you some of the arid terrain as we continue south in the Arabah. Sadly, I see that neither Logos nor Accordance have Denis Baly’s The Geography of the Bible or The Geographical Companion of the Bible available. 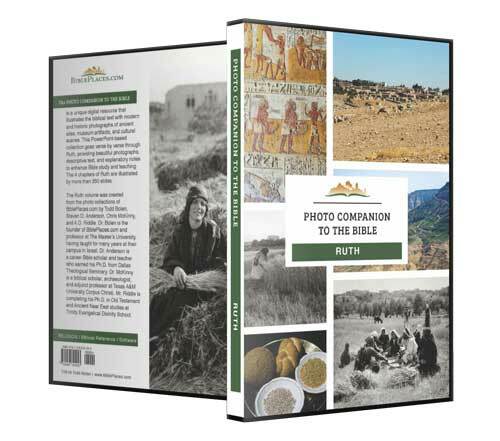 If you received the BiblePlaces Newsletter for April a few days ago you already know about the new volume in the Photo Companion of the Bible series. This one is on The Book of Ruth. I received a complimentary advance copy and found some of this material to be helpful on the recent study trip to Jordan. I am confident that anyone studying or teaching the book of Ruth will find the material helpful. You can download the recent BiblePlaces Newsletter filled with much helpful information here. Available through April 22 for $20. There are 350 images in PowerPoint to illustrate the four chapters of the Book of Ruth. The collection is on sale until midnight April 22 for $20. Bolen says, “Shipping is free in the US and satisfaction is guaranteed.” Go here for ordering information. Take a look at the four volume set on the Gospels. Our friends at Appian Media have already produced a wonderful set of high-quality videos entitled Following the Messiah. They will soon be returning to Israel to film a new series dealing what many of us call the Biblical period of the United Kingdom. 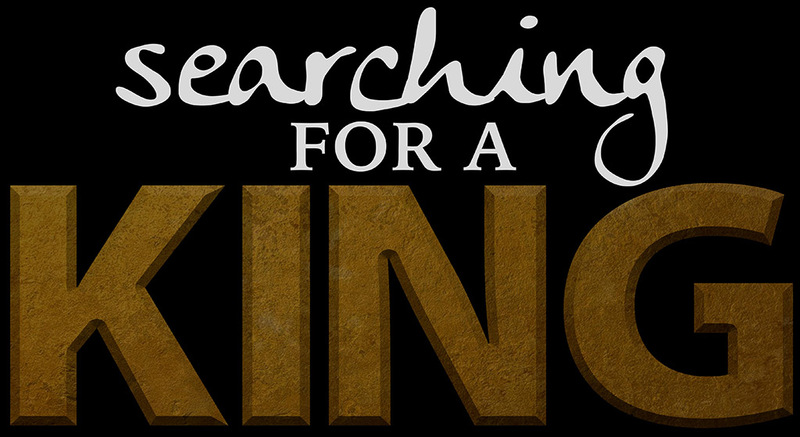 The series will be called Searching for a King. Filming for this series begins very soon. Appian Media provides membership access to their material, and they are seeking donations to assist in the work. See details here. Some videos are available for viewing on the website. This documentary brings you into the exciting world of Biblical Archaeology as it reveals the history of one of the largest Old Testament cities and tells the story of the volunteers who dig it up. This epic story reveals the turbulent warfare of the first temple period of Biblical history, the discoveries that expand the Biblical narrative and the impact this experience had on the people who came to Israel to dig. Watch as these determined volunteers unearth a Biblical land mark that hasn’t been touched in over two thousand five hundred years. The video features comments by Prof. Yosef Garfinkle and Prof. Michael Hasel, directors of the fourth excavation at Lachish, as well as interviews with some of those working on the dig including my friend Luke Chandler. Some viewers will be unfamiliar with the pronunciation of such sites as Lachish and Azekah. Instead of Lake-ish and ah-ZECK-ah, you will hear LAH-KISH and AZ-e-kah, pronunciations more common in Israel. I am thankful to have provided a few of my aerial photographs for the video. Henry and Martin encourage you to use this video in your teaching and for personal study free of charge. Wayne Stiles, whose web site we have mentioned several times, is now developing a video series called Walking the Bible Lands. This is old hat for Wayne who had been traveling to the Bible lands, teaching and writing about them for many years. Wayne’s new material is available on a membership arrangement. 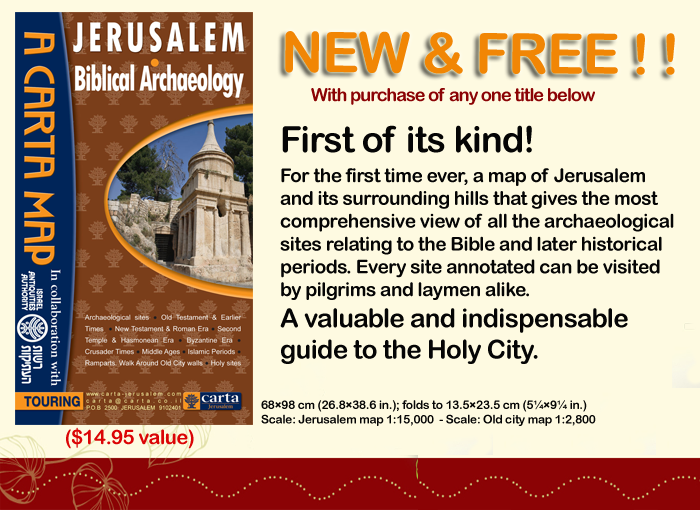 Detailed information is available at his Walking the Bible Lands website here. You will find some samples there. The Twice Told Tale parallel study of Samuel, Kings, Chronicles, and more. It is well-known that readers of the Bible generally skip over the Book of Chronicles [1-2 Chronicles], the last book of the Hebrew Bible [chronologically]. All too often Chronicles is seen as merely a recap and summary of the historical books that preceded it…. This book includes an index to biblical citations. It will be extremely helpful to those studying Samuel, Kings, and Chronicles. Israel Biblical Archaeology touring map. This 24 × 35½ in. map folds to 5¼×9¼ in. For those interested in locating archaeological sites this can be a very helpful resource. On the back side of the map there are numerous smaller maps and diagrams helpful in study and travel. My preference would be to have this material in spiral bound atlas format, but I expect to use the map in planning and during my next personal study trip. This book tells the stories of fifty plants connected to Christian tradition which can be found, in season, by the Christian pilgrim visiting the land of Israel. Illustrations that enable the pilgrim to identify the less-recognizable plants are included, and encourage the study of the rich botanical variety he/she will find on footpaths between pilgrimage sites, churches and archaeological remains. Sacred Flowers, Holy Trees & Blessed Thorns. My personal interests are not as much attuned to the traditions and legends that have grown up around certain plants, but more to the various plants and thorns mentioned in the Bible. Nonetheless, this is a beautiful little book and one that many visitors to Israel will find helpful. This 8″ x 5½” paperback book of 176 pages belongs to the Carta Guide Book series. It is lavishly illustrated and sells for $25.00. Check the Carta online catalog to learn more about each book. The books also are available from Hendrickson, Amazon, and some other publishers. The books mentioned here were sent to me by Carta Jerusalem, but the comments are my own opinion. Carta Jerusalem, publisher of some wonderful resources about the Bible, Biblical History, and the Bible Land, recently sent me several new books. I will make brief mention of these books in hope that you will check the Carta online catalog to learn more. The books also are available from Amazon and some other publishers. Understanding Hezekiah of Judah (Rebel King and Reformer) by Mordechai Cogan. This full-color paperback is 9″ x 11¾”, 40 pages. The book is based on the Bible and extra-biblical sources including archaeological discoveries. $14.95. Carta Jerusalem’s new Understanding Hezekiah of Judah. Understanding the Holy Temple Jesus Knew (The Background to Key Gospel Events) by Leen and Kathleen Ritmeyer. This full-color paperback is 9″ x 11¾”, 48 pages. $14.95. 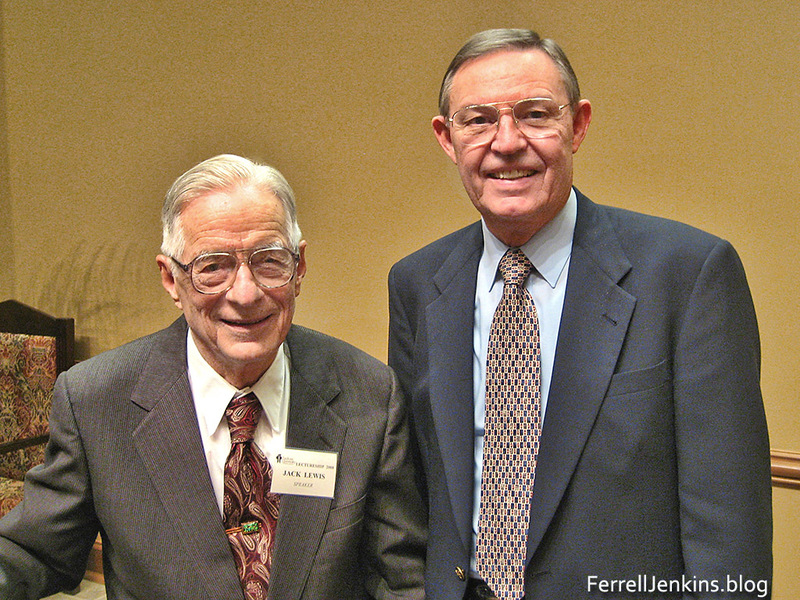 We have frequently mentioned the superb work of the Ritmeyer’s on the temple that Jesus knew. Leen and Kathleen Ritmeyer’s Understanding the Holy Temple Jesus Knew. Understanding the Israelite-Samaritans (From Ancient to Modern) by BenyamimTsedaka. This full-color paperback is 9″ x 11¾”, 40 pages. The author is an Elder of the Samaritan community living in Israel. Having visited the Samaritan community on Mount Gerizim, I found this work to be extremely interesting. $14.95. Understanding the Israelite-Samaritans by Carta Jerusalem. The Carta books mentioned above are lavishly illustrated with photos, drawings, and maps. In a future post or two I will mention a few more of the new books supplied by Carta Jerusalem. The solar eclipse of June 15, 763 B.C. I watched the solar eclipse on TV. Now you might enjoy going to the link I mention below. But did you know that the solar eclipse of June 15, 763 B.C. holds the key to the chronology of the Old Testament (Hebrew Bible)? He continues to explain how we are able to know the date for certain Old Testament kings and events. We are all dependent on the work of scholars such as the late Edwin R. Thiele (1895-1986) and his The Mysterious Numbers of the Hebrew Kings. How are we to convert the relative dates given in the Bible (e.g., “in the fourth year of…”) to absolute dates (e.g., 966 B.C.)? The Assyrians kept records of their kings and various officials on these stone documents called limmus, but in one of them they recorded the eclipse of the sun that occurred June 15, 763 B.C. according to astronomical computation. Limmu stelae from Asshur. Museum of the Ancient Orient, Istanbul, Turkey. Photo by Ferrell Jenkins. I confess to having made the above photo of the limmu stelae from Asshur, displayed in the Museum of the Ancient Orient in Istanbul, Turkey, but failing to photograph the identifying sign. Carl’s post and photo was enlightening to me. He explains about the limmu stelae and how Thiele used this material to develop a widely accepted Biblical Chronology. I urge you to read his article, and perhaps Thiele’s book. The book is available from Amazon and other sources.